At the end of some days, I look back and think. What just happened? Yesterday, I entered the classroom with a plan. Somehow I ended up in an unexpected place. Unexpected can be good. Responsive teaching should go that way. But, the unexpected can push everything askew. It can dismantle and disrupt and throw you off balance. Today’s unexpected started with a debate over the best tool for studying vocabulary: notebooks or index cards. One classroom chose one tool. The other was a house divided. One group strongly favored index cards the other were passionate about spiral notebooks. There were claims and counter claims. Notebooks are better because there is more room. An index card is too small. Index cards are better because you can alphabetize them. And you can use them to study. You can put tabs in the notebook. That will let you put them in order. But you can’t study a notebook as well as cards. After a secret ballot, the notebook contingent won by two votes. In the past, this simple tool was never discussed. I just told and instructed. But this year, because I’m consciously honoring their learning from last year, it’s surfaced. A very strong part of me wants to say, I know best. But do I? How can I really. Meanwhile, writers live between books and units of study. In their notebooks, at their tables, on their blogs. Writer’s notebooks are clandestinely shared during reader’s workshop. A’s spotted yellow egg story was read and responded to. On the other side of the room, readers quietly and not so quietly, pass books on to the next name on the waiting list. Students jockey for the best reading position. Finally, quiet happens, and I start a conference. I give him the can’t-you-see-I’m-conferring look, and tell to him save it for Friday. “Fine. I’ll wait.” He’s not pleased with me. At the end of workshop, R approaches with her reading file. “Mrs. Harmatz, I think I have met this goal. 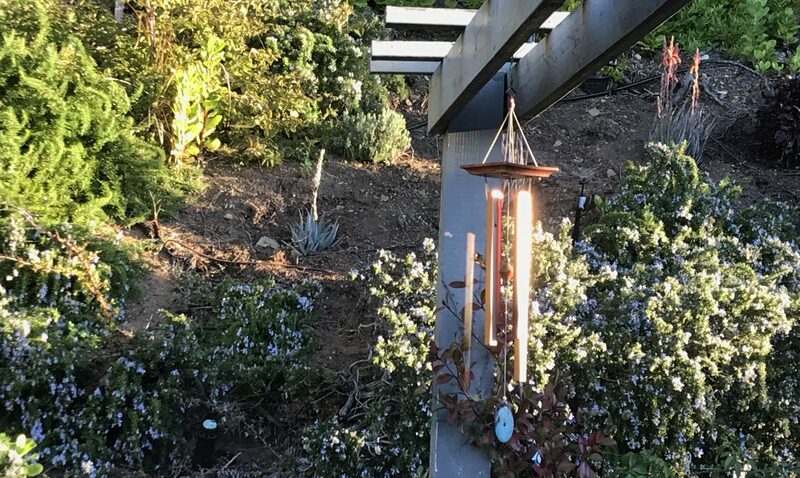 I need to set a new one.” With that the bell rings. Valuing student voice can be problematic. It’s not convenient or predictable. It may not be what you expect. It may take some thinking through, but if I am to believe in students, I’d better take the time to listen and negotiate the results. As for the notebook/index card debate, each student will choose the tool they feel most comfortable with. 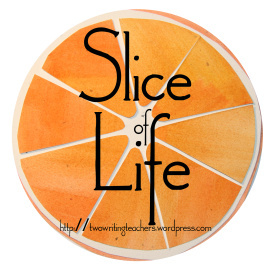 Thank you to Two Writing Teachers for Slice of Life Tuesdays and all you do to inspire our writing and teaching lives. Read more slices here. This strikes me as the opposite of random, as you’ve made a powerful and deliberate choice to make room for important conversations and discussions in your classroom. I absolutely love the idea of writers “clandestinely sharing” their writing notebooks. Celebrate! What a wonderful job you are doing!!! This post is such a peek into your amazing classroom!! I so agree with this statement, “Valuing student voice can be problematic.” YES! It’s challenging and hard, but I love how you honor that and come to the conclusion that it’s necessary. You are the most reflective teacher I know. I admire that so much!! Thank you, Julieanne!!! Personally, I’m on the index card side of this debate, but I suppose I could’ve been swayed by your students’ persuasive arguments. Thanks for sharing this day of claims and responsive teaching with us! Me too Stacey! My controlling nature is being tested. I want to be in your classroom, where all voices are heard. What a lovely peek into s very special learning space. I, too appreciate it when kids cause me to question myself, even though its unnerving! It sounds like you’re one of those great teachers who forces herself to grow, even when it isn’t easy. Stay strong. You have clearly spent a lot of time establishing classroom norms, otherwise this randomness would have been chaotic. But the kids no the rules and routines and are willing to work within them. Well done. Love hearing about parts of your day, Juieanne, especially the enthusiastic responses. They tell me that you are all in there together, learning and contributing. You have guided these students to make considered choices. This is a classroom where students will thrive as they learn to be their best self because they have a teacher who guides not dictates their role. Sounds like a good day! You did follow their lead with a destination in mind. They trust you will lead them somewhere great and it seems you trust them to lead you a bit as well. Sounds like the perfect combination for authentic, purposeful learning! If you didn’t read Linda Baie’s post this morning, then you should! She needs the addition of embracing the unexpected to her list of how to be a good teacher! You make me feel so much better with your honesty. Just today I had a student tell me what she needed me to teach her. I valued this by making a sticky note. Now the question is how? Teaching is hard, but I totally believe in listening and following the students’ lead. It can be surprising and scary and so worth it.